“The course of true love never did run smooth”—and it gets even more complicated when you add magic! While the king and queen of the fairies, Oberon and Titania, are quarreling, Oberon’s right-hand sprite, Puck, is ready for mischief. 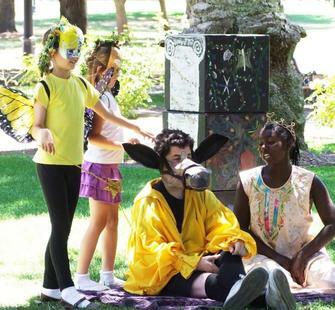 Add in two pairs of young Athenian lovers and a troupe of amateur actors trying to rehearse a play in the middle of the fairies’ forest, and you get a family-friendly comedy filled with whimsy and wonder. Presented by Silicon Valley Shakespeare.